LOS ANGELES, Calif. /California Newswire/ — Sam Pocker is thrilled to announce the release of his sixth album, “Sam Pocker Sings Juliana Hatfield,” available everywhere on Friday April 13, 2018. 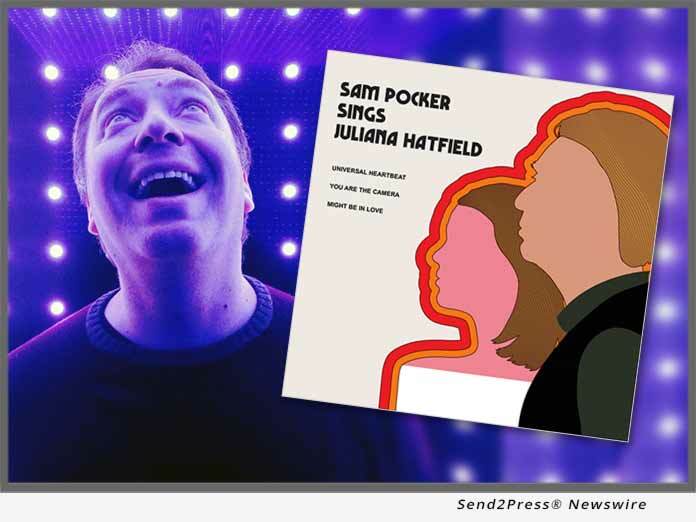 “Sam Pocker Sings Juliana Hatfield” is a 1970’s-style answer record to the newly released “Juliana Hatfield Sings Olivia Newton-John.” It features three Juliana Hatfield classics reimagined as 12-inch disco records. To match the original release, one dollar from the sale of every album will be donated to the Olivia Newton-John Cancer Wellness & Research Centre (ONJ Centre), a nonprofit organization dedicated to providing patients with cancer access to leading medical treatment, breakthrough research, and the best in wellness and supportive care. Sam Pocker is an award-winning author, filmmaker, and artist. His work has appeared in the Wall Street Journal, The Washington Post, New York Daily News, PIX 11 News, Sirius Radio, NPR, and many other media outlets.